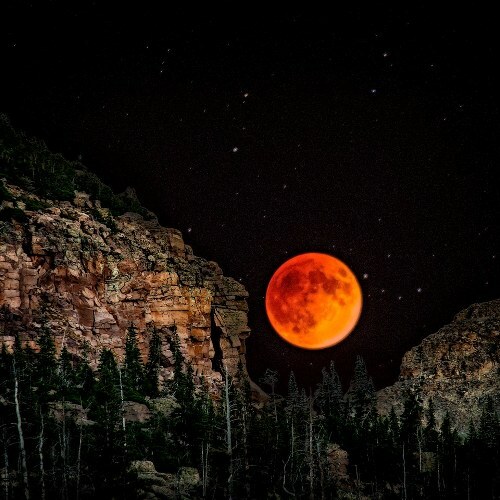 This last September 28th, people in North America, South America, West Africa and Western Europe had the opportunity to observe a rare celestial event – a lunar eclipse which coincided with a “supermoon” causing a large red moon in the sky. This event was so rare that it was last observed in 1982 and will not be back before 2033. So what are these events? In a total lunar eclipse, the Earth, Sun and Moon are almost exactly in line and the Moon is on the opposite side of the Earth from the Sun. 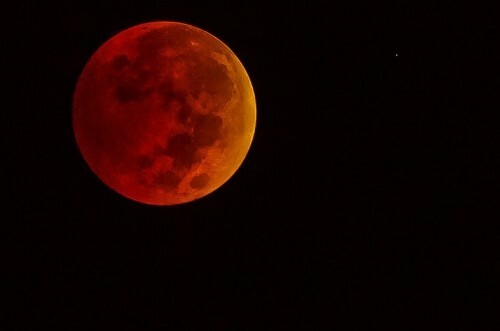 During this type of eclipse, the moon appears red, giving it the name “Blood Moon.” The red appearance is caused by the Earth’s atmosphere scattering blue light more strongly than red light, allowing the red light to reach the moon’s surface making it look red. The moon does not give off any light of its own, but without a lunar eclipse, reflects light from the sun. 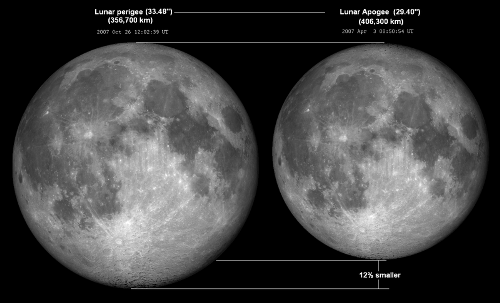 During the eclipse, Earth will be positioned in between the moon and the sun, casting its shadow on the moon making the moon dim significantly. It is not in total darkness as most people think because it is lit by sunlight that passes through the Earth’s atmosphere and bends around the Earth. The blue light scatters, allowing only the red light to reach the moon. Unlike a solar eclipse, a total lunar eclipse is safe to watch and needs no special equipment. 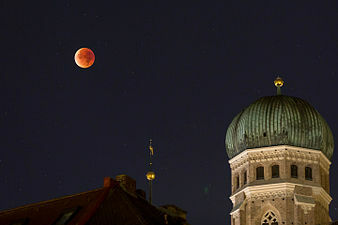 The lunar eclipse lasted one hour and 11 minutes and was a spectacular sight. Now that you know the facts behind this large Blood Moon, you’ll be ready for the next one in 2033!